Daniel Fleck joined Altrix Medical LLC in 2016 and is the Chief Technology Officer behind Altrix Medical’s innovations. Dr. Fleck implemented software for an AED Android application while also developing the AED circuit prototype capable of delivering a 176J shock in a small form factor. Dr. Fleck also serves as an Associate Professor of Computer Science at George Mason University (GMU). 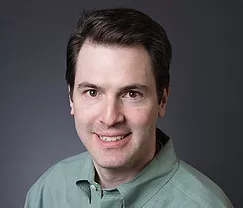 At GMU, Dr. Fleck has helped pioneer advances in computer networks by developing “moving target defense systems.” These advanced topologies leverage elastic cloud environments to evade and confound attackers and reduce overall network defense costs. This research continues today with Dr. Fleck leading collaboration between GMU and the United States Defense Advanced Research Projects Agency (DARPA). As the Technical Director of GMU’s Center for Assurance Research and Engineering (CARE), Dr. Fleck also leads various teams working on network intrusion detection, malware analysis, handheld device defenses, application resource exhaustion attacks, and efficient peer to peer networking protocols. In this work he has partnered with industry leaders such as Symantec and Kryptowire, LLC. Prior to his academic work, Dr. Fleck was the Technical Director for the Advanced Technology Group at SRA International. He also led multiple projects including the initial implementation of DARPA’s Tactical Ground Reporting Network (TIGR). TIGR is used by Army commanders to report and retrieve information using Android handheld devices. The first version, developed under Dr. Fleck’s technical leadership, was built and deployed to theater for testing in less than a year. Dr. Fleck holds Bachelor of Science with Honors in Electrical Engineering from the University of Texas, a Master of Science in Software Engineering from George Mason University, and a Ph.D. in Computer Science from George Mason University.